VATICAN CITY (CNS) — Anti-Semitism is absolutely contrary to Christianity, and the church has a duty to denounce and repel such hatred, Pope Francis said. 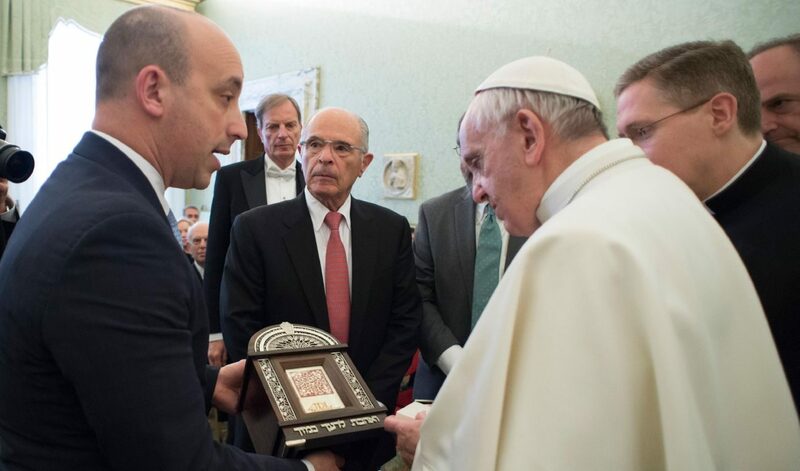 The pope made his comments Feb. 9 at the Vatican during an audience with a delegation of the Anti-Defamation League, an organization that fights anti-Semitism. “Sadly, anti-Semitism, which I again denounce in all its forms as completely contrary to Christian principles and every vision worthy of the human person, is still widespread today,” the pope said. More than ever, the fight against anti-Semitism needs effective tools of education and formation that teach respect for everyone and protection for the weakest. “Caring for the sacred gift of all human life and safeguarding its dignity, from conception to death, is the best way of preventing every type of violence,” he said.